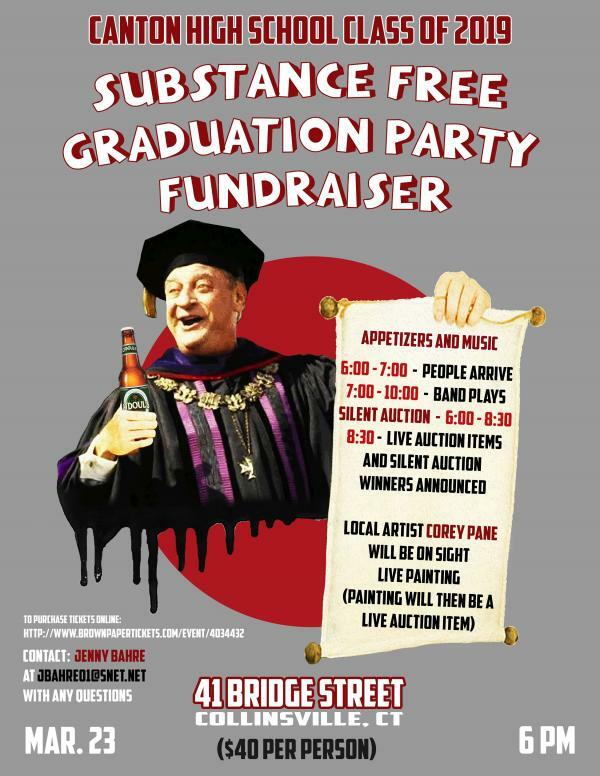 The Canton High School Class of 2019 presents the Substance Free Graduation Party Fundraiser at Bridge Street Live! The night will consist of appetizers, music, a live and silent auction, live painting from local artist Corey Pane, and so much more! For any questions, please contact Jenny Bahre at jbahre01@snet.net. Tickets are $40 General Admission ($42.39 w/service fee).